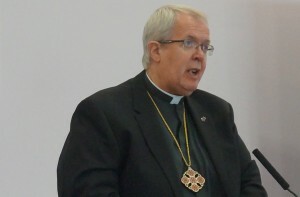 The Bishop of St Asaph is to speak at an anti-slavery event in Colwyn Bay as part of the Diocese of St Asaph’s commitment to oppose human trafficking. The Rt Revd Gregory Cameron will give the closing address at a conference on 12 October at Prince’s Drive Baptist Church to an audience of professionals tackling the problem, statutory and third sector agencies and members of faith groups. The conference organised by north Wales based Haven of Light, will begin a series of events focusing on Anti-Slavery Day on 18 October. From 15-19 October there will be a display in St Asaph Cathedral raising awareness of modern slavery. In addition, on the evening of 19 October, a film and discussion on the topic will be hosted at the Cathedral. Bishop Gregory said: “Modern Slavery is a tremendously important issue which demands our attention. It’s time to stop looking the other way and begin to register that this crime has not been confined to history. Why are we tolerating this is 21st century Wales? Why are we letting it happen in our communities? 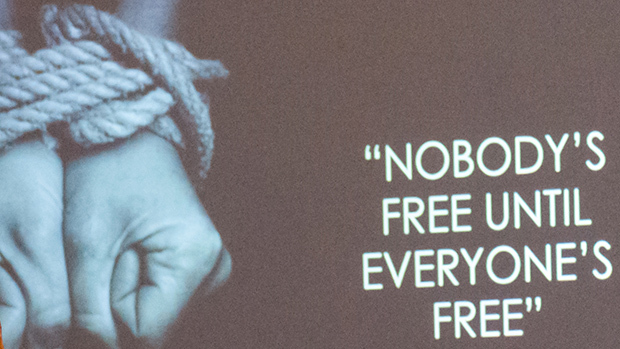 Slavery is a global pandemic where men, women and children are tricked, forced and coerced into labour, criminal activity, domestic servitude and sexual exploitation. Many of the victims have not been brought into this country for exploitation but are in fact British nationals who have been groomed and abused; often within their own communities. Ali Ussery from Haven of Light is working to further develop a network of professionals and charities in Wales. She said: “Here in north Wales, we are fortunate to live in a very safe part of the UK and the world, but even here there are issues. There are official accounts recorded by North Wales Police and the Welsh Government of abuse through sexual exploitation, grooming, forced labour and criminality, county lines and other forms of modern slavery. It is very important that our communities know about the signs and indicators of exploitation and what to do if anyone suspects abuse. This was posted on 8 October 2018.